For Christmas 1951, my mother Laila Nurminen gave me a beautiful map of Scandinavia from the year 1595, drawn by the Flemish Gerardus Mercator. Throughout my teenage years, the map adorned the wall of my room and inspired me to delve deeper into maps as a hobby. My father, Maritime Counsellor Matti Nurminen, also had an eye for beautiful maps. Because of his work, he was a frequent traveller and often brought back beautiful old maps for us from this travels. He bought his first maps in the early 1930s, from the bouquinistes, i.e. sellers of old books and prints, of the Seine riverbank in Paris. In 1982, my father’s map collection was partly destroyed in a fire. I carried on his hobby by collecting maps of the world, the Nordic countries, the Baltic Sea, and the Arctic. My collection grew to include hundreds of maps. Later on, with the exception of world maps, my maps were transferred as a donation to the John Nurminen Foundation, which I had founded in 1992. As a result, the Foundation now holds one of the world’s most comprehensive collections of nautical maps of the Baltic Sea area. 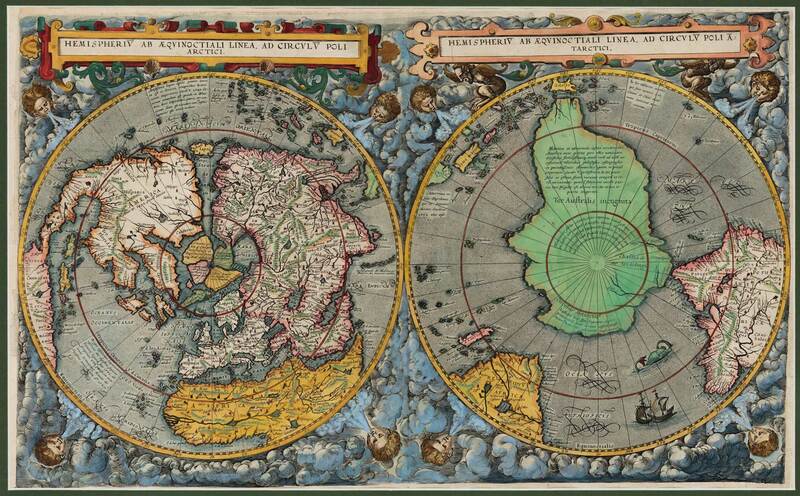 The Foundation’s collection of maps of Scandinavia is also significant. My own collection hobby focused primarily on early printed world maps, of which I today have a total of 149 pieces in my collection. I found old maps mostly at antiquarian shops and auctions in e.g. London, Amsterdam, Frankfurt, Paris, Rome, Vienna, Stockholm, and Oslo. Up to the early 1990s, before a global, digital market for maps was created on the Internet, map collecting was exciting detective work. It was fascinating to rummage through the store rooms of map merchants, making discoveries that were at times surprising. Many maps that are commercially less valuable are still just as important for the collection as are maps of high value. It has to be admitted, though, that the acquisitions of some extremely rare maps have been highly pleasurable. 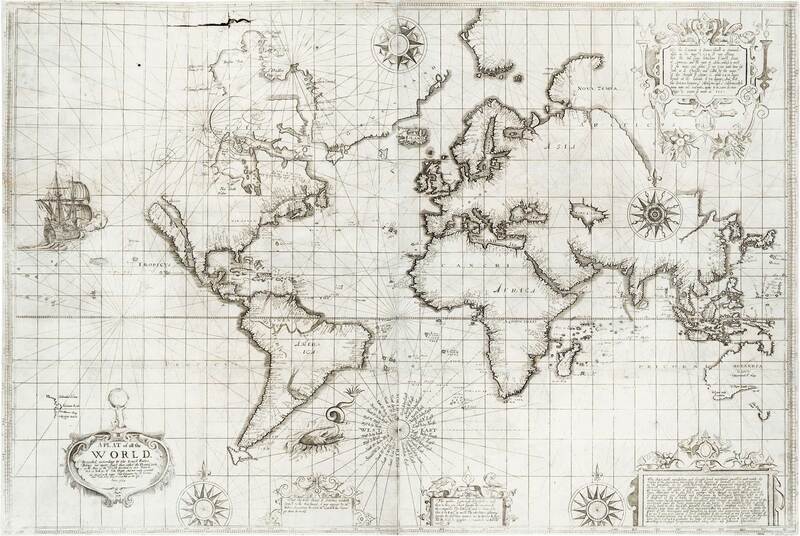 I am particularly proud of the pearl of my collection, the world’s first printed world map. As far as we can tell, the map is the only single sheet map in the entire world. 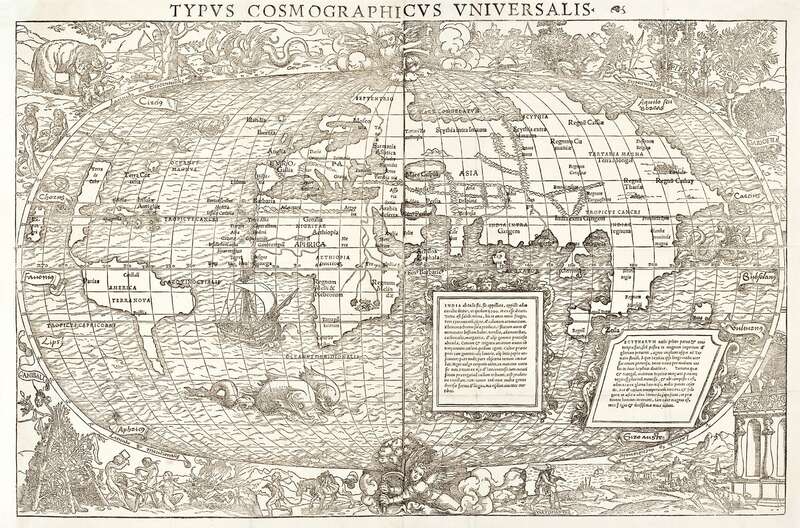 It was engraved and printed for the first so-called Ptolemy Atlas in Bologna in 1447. A few of these atlases reside in top museums, such as the A. E. Nordenskiöld collection of the University of Helsinki. In the map by Sebastian Münster and Hans Holbein (Basel 1532), we see how America is starting to partially take shape on our world map, with North America just suggested by a smallish island. The angels drawn on the outer rim of the map make the globe go around. The polar projection map by Cornelis de Jode from 1593 gives us an incredible amount of information about the world view of its day – of areas that were discovered, and those that were yet to be discovered. Large islands were imagined to exist on the North Pole, and the South Pole consisted of an enormous continent. The Bering Strait between America and Asia was a correct guess, even though no one had been there yet. The colouring of the baroque-style map is exquisite. The rare world map by Edward Wright from the early 17th century is a landmark in seafaring history. In it, the world is depicted for the first time using Mercator projection, created for the needs of seafarers. 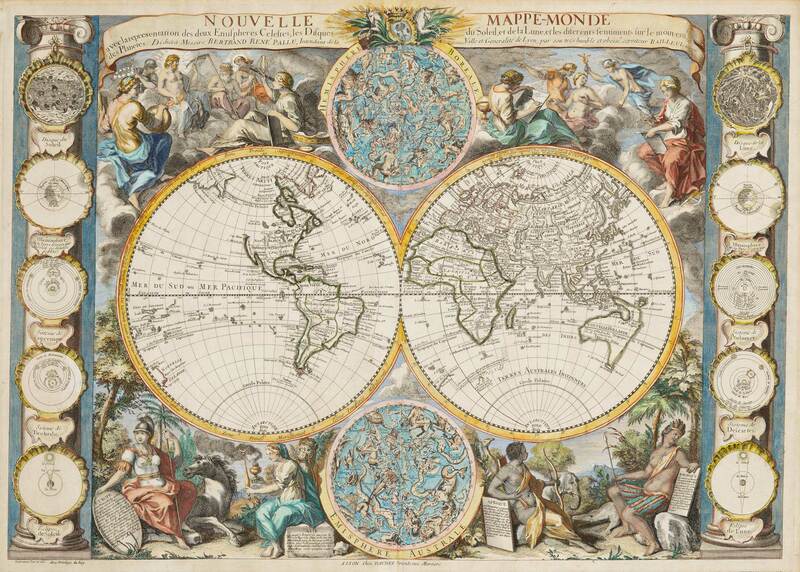 Without a doubt, one of the most beautiful maps of my collection is the scientific map by Nicolas Bailleul, from the year 1750. In it, the starry sky and the movements of celestial bodies are also depicted. The graphics describing the continents on the edges of the map have been engraved with unbelievable skill. Even though I have always been interested in maps because of their aesthetic qualities, study of the history of cartography has also always been a focal point of my collection hobby. At the John Nurminen Foundation, established to safeguard marine cultural heritage and the marine environment, we have been able to utilize my map collection also in exhibitions and publications, such as the books Mare Balticum (1995), Ultima Thule (2000), The History of the Nordic Map (2006), The History of Seafaring (2007), and most recently in the Mapmakers’ World (2015). Today, as a result of donations, most of the maps are part of the Foundation’s collections.